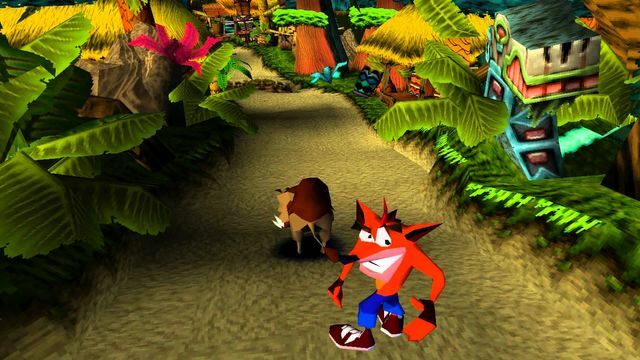 Why don't Sony revisit Crash Bandicoot? It was one of the first games I ever played and I've been waiting ever since to a revival. Common Sony! Take a chance! While rival manufacturer Nintendo has recycled many of its most successful characters and franchises, including Zelda, Pokemon and Super Mario time and time again, PlayStation has left some of its most beloved games unvisited. Will we see a Crash Bandicoot or Spyro the Dragon revival anytime soon? "This is very dangerous ground," Mr House laughs. "In concept, it is something we've been thinking about and discussing, and this is a shift for us. We've started to say that maybe there isn't anything wrong with going back and looking at characters that people still talk about, that were a big part of either their childhood or their youth. I definitely wouldn't close the door on that." For now, the game he's most looking forward to is Victorian-era shooter The Order, due for release in the spring.